To maintain compliance, you may have developed training materials and set up classroom sessions for your staff. Employee handbooks and instructional videos were often a part of compliance training. It took a significant amount of time out of your HR staff’s schedules to host these trainings, especially if you had 150 to 200 employees or more. The other option was to hire an outside instructor to host training sessions for your staff. 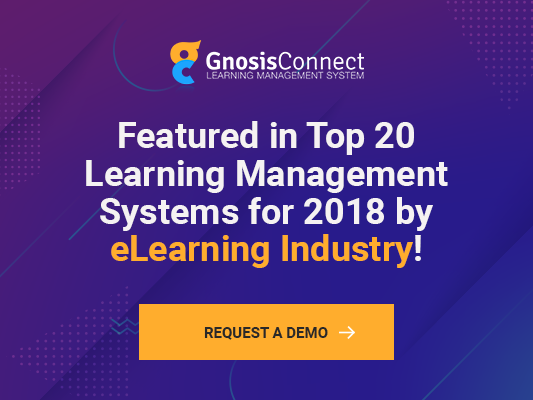 Instead of paying for an outside instructor or taking up your HR staff’s time, you can utilize a learning management system (LMS). This online training solution enables your workers to access the tools for required training whenever they have time while meeting important deadlines. You can develop the training information and provide access to those users who need to complete the compliance training. They can complete all the training online, including any tests or assessments which must be taken. You can also integrate classroom sessions into your LMS. This platform enables you to set up training for staff. You can use the LMS functions for testing or other assessments even when you use in-person training. Instructional videos have long been a part of compliance training, especially for new hires. It’s quite common for a newly hired employee to sit down in front of a TV and watch a video on any number of subjects such as safety at work. All the employee must do is sign a statement saying they watched the video. While this method will protect the company from any legal requirements, it doesn’t ensure the employee has actually paid attention or even watched the video. With LMS, you can be guaranteed that the video was watched and even create tests to determine if the employee learned anything from the content. This option can give you peace of mind, knowing your employees are well-trained. You can reduce the costs associated with compliance training by using an LMS platform. You won’t have the cost of hiring an instructor to train your staff or the expenses of utilizing their services which may include travel costs along with their time. You won’t need to pay for a venue to host the training if you don’t have an on-site location. You can save on lunch costs which are often necessary with all-day compliance training. This option also cuts down on the time you must for to allow your employees to be in training instead of doing their daily duties. The training can serve multiple employees. All you need to do is update any new information so that it continues to meet any regulations in your industry. It can be difficult to determine how much money you save through LMS compliance training. In addition to the expenses of holding the training, you must consider the costs of dealing with issues that result from a lack of training or from inadequate training. Consider implementing a learning management system for the necessary compliance training in your industry. Save money and have better trained employees who can do their job more efficiently and effectively.